The Stoccafisso (stockfish) all’anconetana is an ancient dish that is cooked, eaten and loved by the city of Ancona for over 500 years and now it has also an academy dedicated to it, the Academy of Stockfish. The stockfish, which has a ancient origin, reigns supreme on the tables of the city. 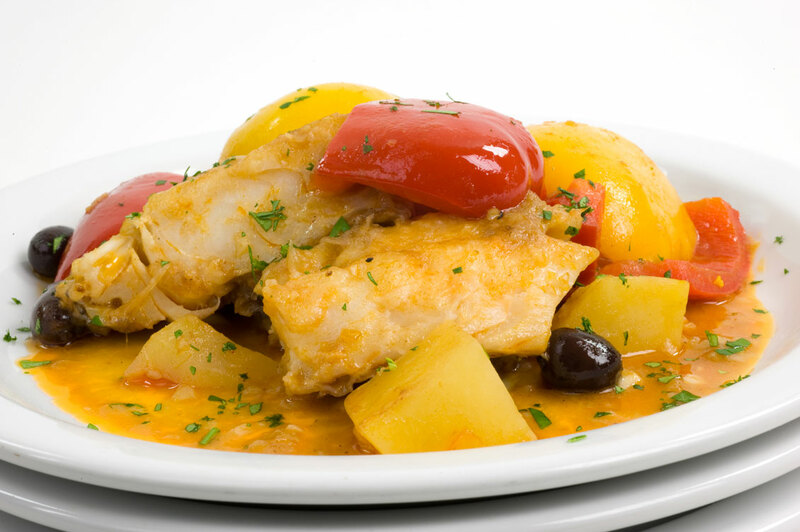 It is believed, in fact, that this fish that live in the Baltic Sea has come this far thanks to some merchants who set out to sea laden with spices and tissues, and they returned with a load of this delicious (albeit simple) fish. Today there are many different recipes for cooking stockfish, but that the traditional is only one. It does not happen frequently, in fact, that a dish so proudly retains its original recipe that has been handed down from generation to generation by grandmothers and loving mothers. To prepare a good Stoccafisso all’anconetana (or anconitana) the ingredients to have on hand are all very simple. First of all, buy a good quality stockfish already soaked. After having well drained and barbed it, cut it into regular pieces and put it in a baking dish, where you have already placed some short straws to prevent the fish from sticking to the bottom. Alternate the stockfish with layers of fresh tomatoes mixed with chopped garlic, carrot and parsley. Moisten each layer with oil and finish with potatoes cut into chunks rather large. Now pour a glass of white wine (and why not … the Verdicchio!) and place the baking dish on high heat. After half an hour of cooking, turn down the heat, cover the baking dish and cook for 2 hours without stirring the ingredients. The fish is cooked when the potatoes are cooked. At the moment to serve at table, firstly pour the potatoes and then the stockfish enriched with much seasoning. Now that everything is ready … enjoy it!